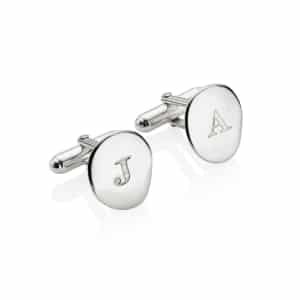 Engrave with something to make them smile, a message of love, a special date… the possibilities are endless! We love making these and they are perfect for anyone, always ensuring that the recipient is delighted. We’ll happily add a symbol too, a heart or infinity, good luck clover ..whatever takes your fancy.. Let us know if there is something special you’d like and we’ll do our best! Engraving cannot be done on the back. 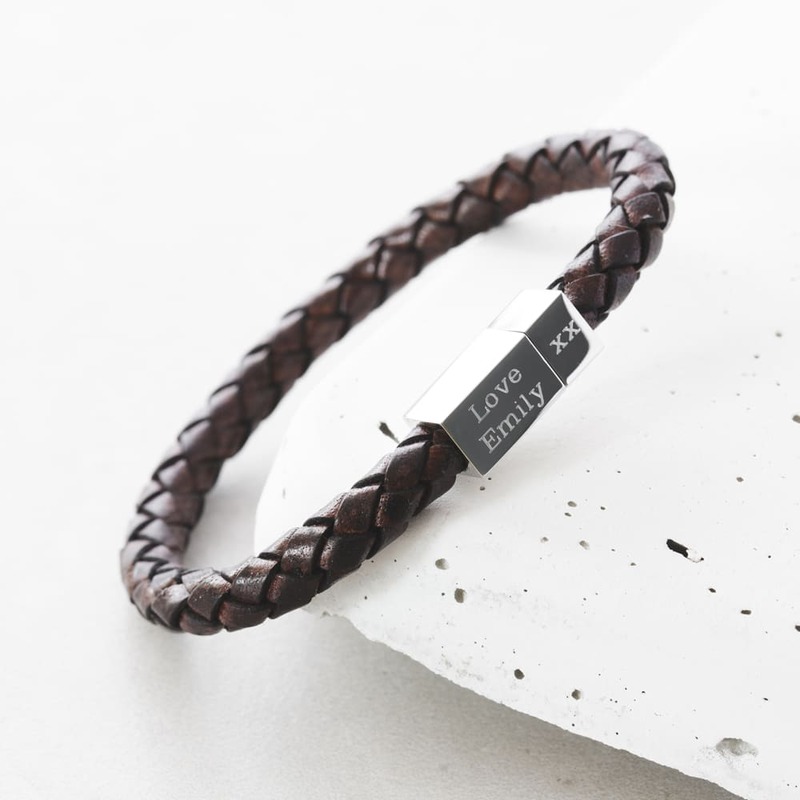 Two lines of text can be engraved on each of the sides.The larger clasp upto 7 characters each line, and two lines with 2 characters on each on the small clasp or a single image. If you require a symbol/image type in the free text box. 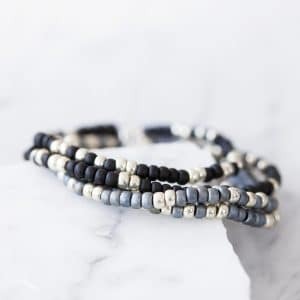 Please measure carefully as these bracelets are none adjustable. Service rating : The delivery was very quick! 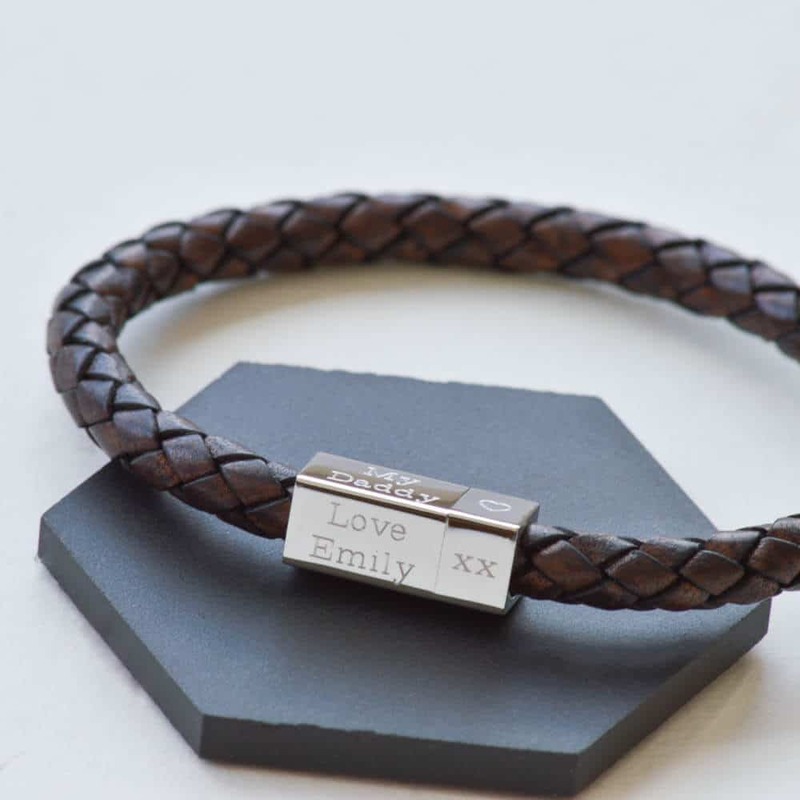 Product : It's an absolutely fantastic bracelet, the engraving was done beautifully and the delivery was very quick. 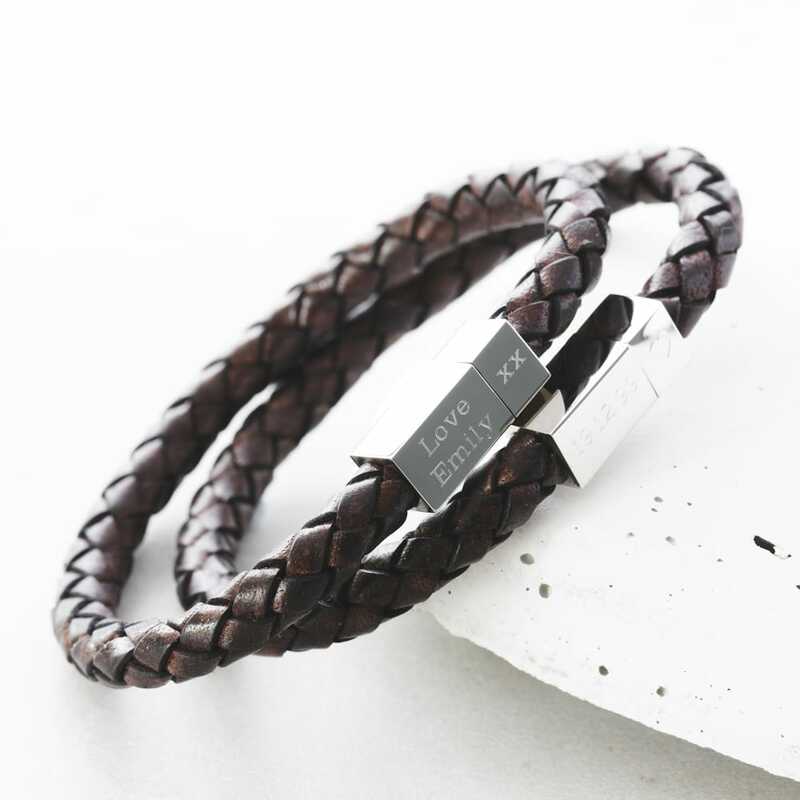 The bracelet came wrapped up in a beautiful little box with pouch. Service rating : Great service & quality product. Product : Very happy with the quality & service. Service rating : Quick, overseas delivery. Good communication. 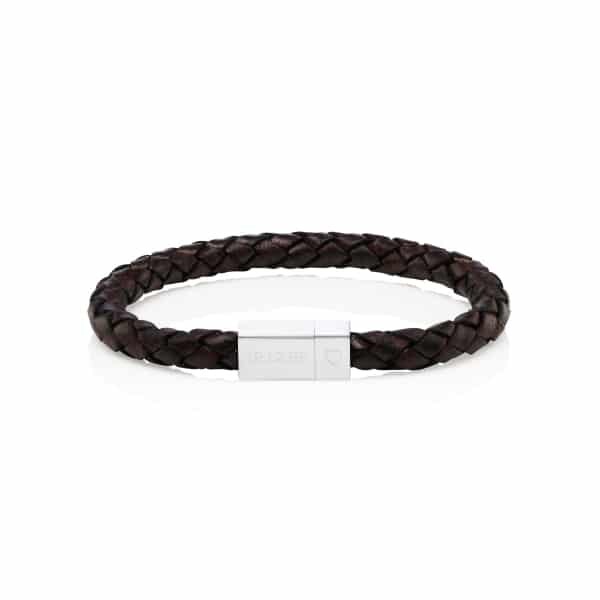 Product : Lovely, good quality bracelet. The perfect gift. Just what I wanted. Service rating : Amazing quality jewellery. This company deserve a lot more credit. Well chuffed with my engraved purchase!!! 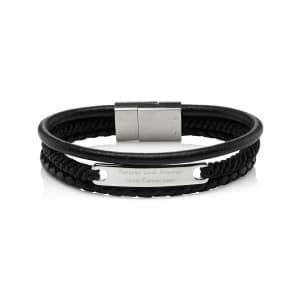 Service rating : My order (a pesonalised men's bracelet) was dispatched within about 24 hours of me placing the order. It arrived quickly, presented beautifully in a quality gift box containing a gift card with my message and the bracelet inside an attractive fabric pouch. 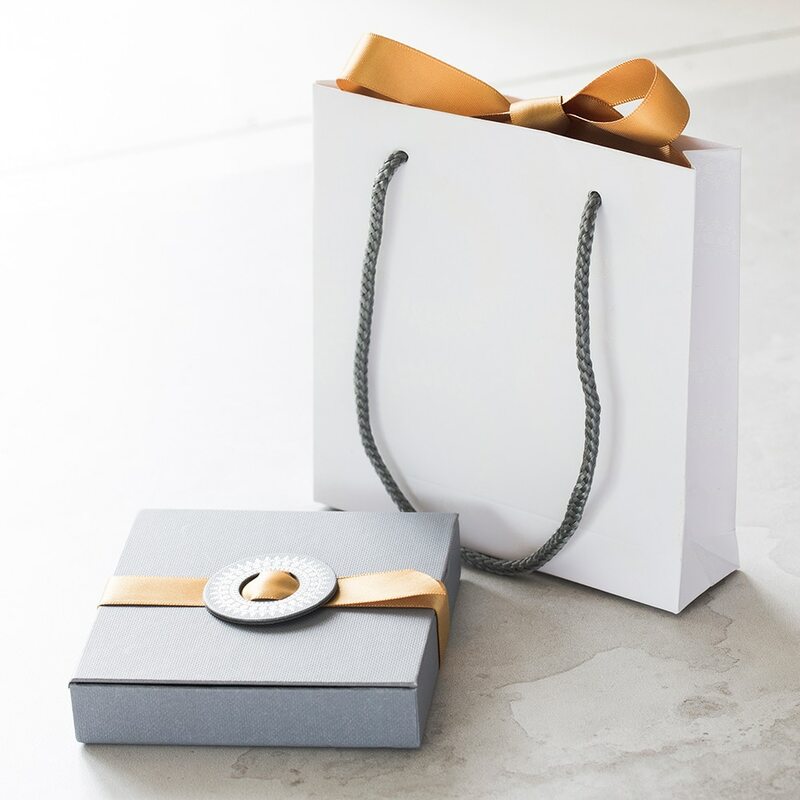 Unfortunately the gift bag I had ordered had been missed out of the package but they responded very quickly and apologetically to my email promising the refund for the bag as I had requested. Product : Good quality product, nicely engraved with a strong magnetic catch. My husband was very pleased and the bracelet looks great on. Product : Really good quality :)!!! Bracelet very good, a little concerned about magnetic clasp being strong enough it can easily catch on something and then fall. As a gift to be a rememberable keepsake would have preferred it to be secure perhaps with a safety chain ?Packaging good. delivery good. Service rating : Easy and fast order.. Just a few clicks and it was ready. Product : Impress. It looks just like the pictures and not regret. 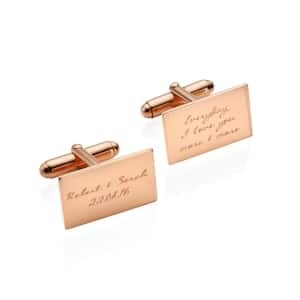 Service rating : Excellent service, I needed an order next day engraved etc. I ordered after the cut off but they managed to get it done. Delivered 10 am next day. The wristband is great and very swish. 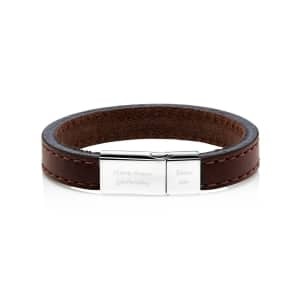 Product : Well made item with quality leather and engraved really well. Service rating : Great service, product exactly as ordered, was dispatched same day and arrived 3 days later. Would recommend!